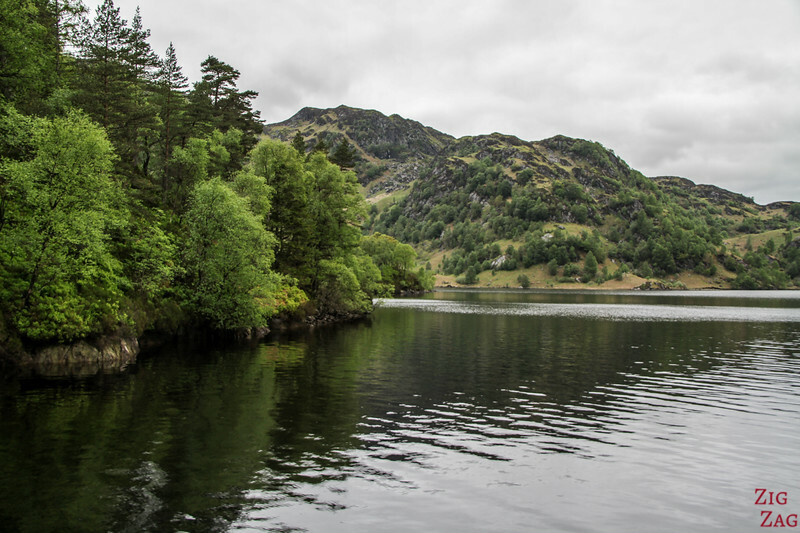 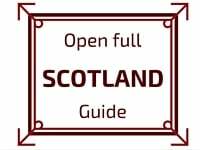 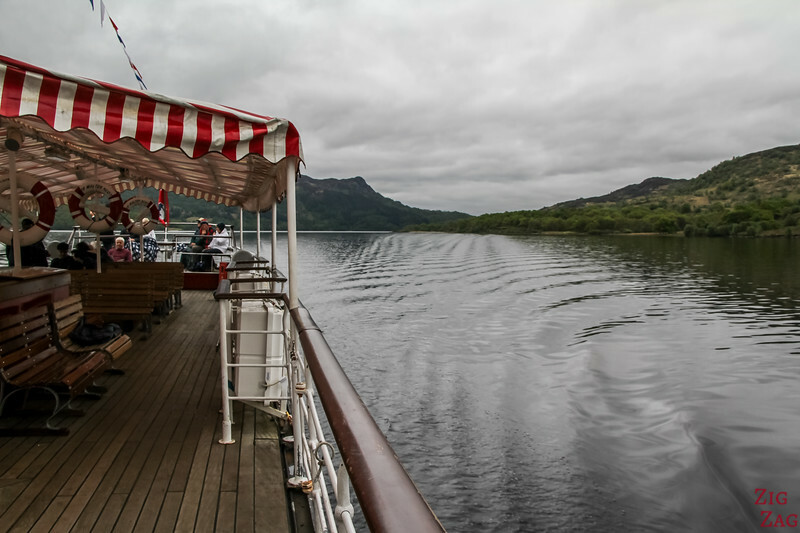 Located in the heart of the Trossachs Scotland, the Loch Katrine Cruises on Sir Walter Scott Cruise Steamboat are an institution. 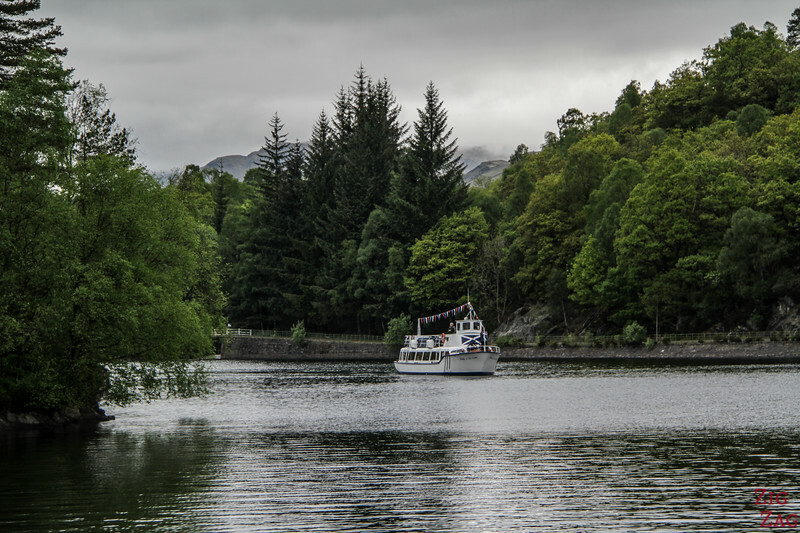 It is a great way to soak in the Trossachs scenery. 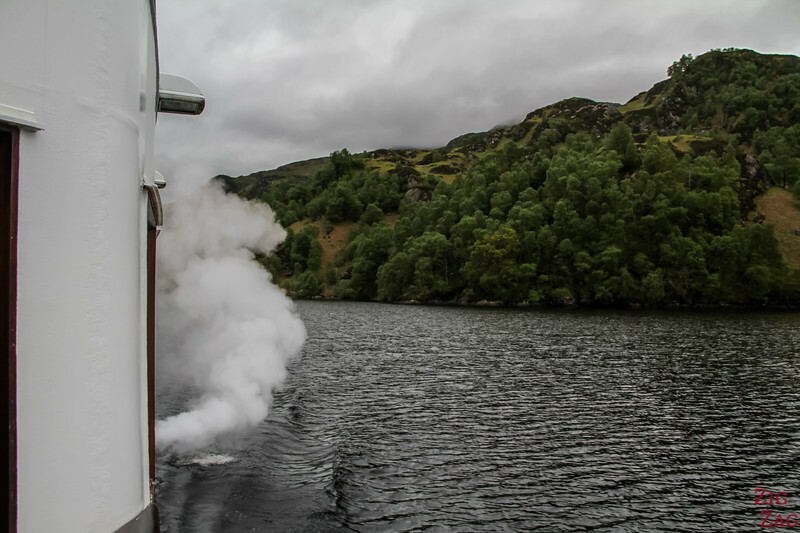 If gets really cold on the boat. 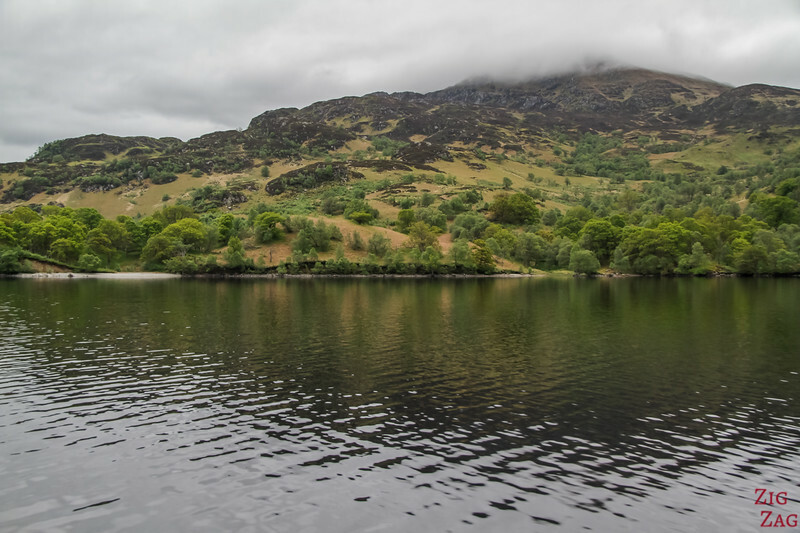 They provide blankets but make sure to take layers and a hat. 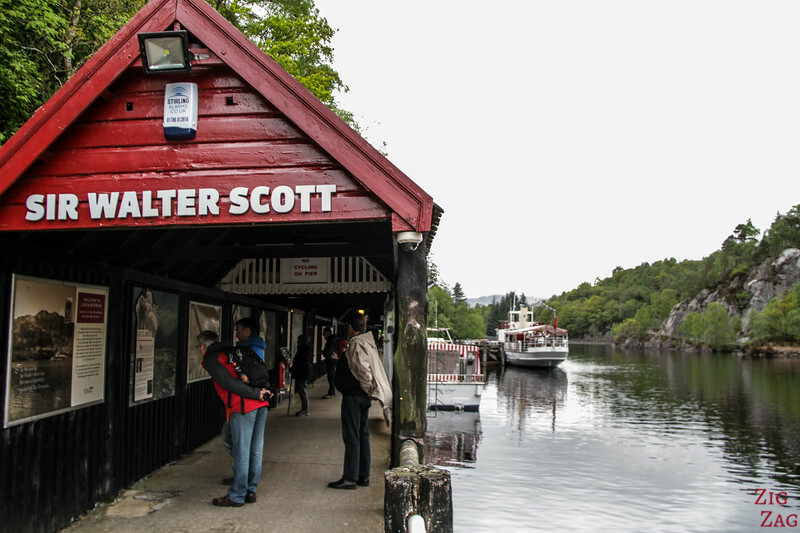 The Steamship Sir Walter Scott has been sailing for over 100 years. 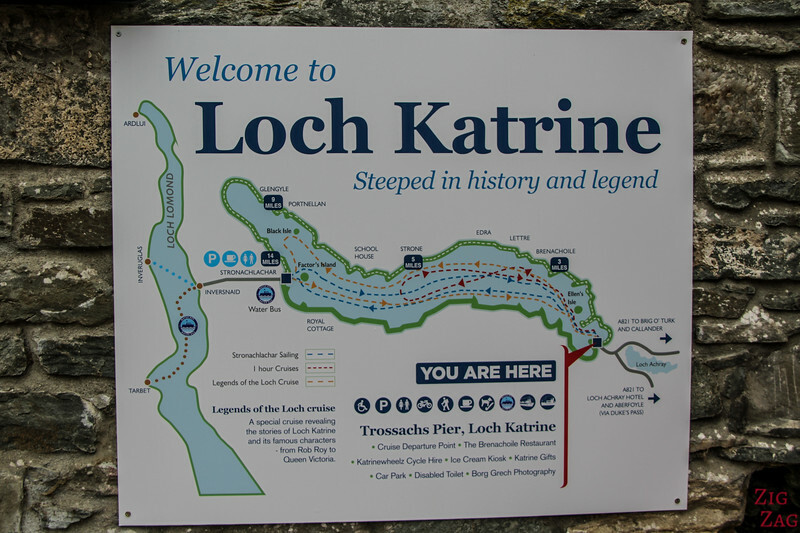 It is 33m (110ft) long and 5.8m (19ft) wide. 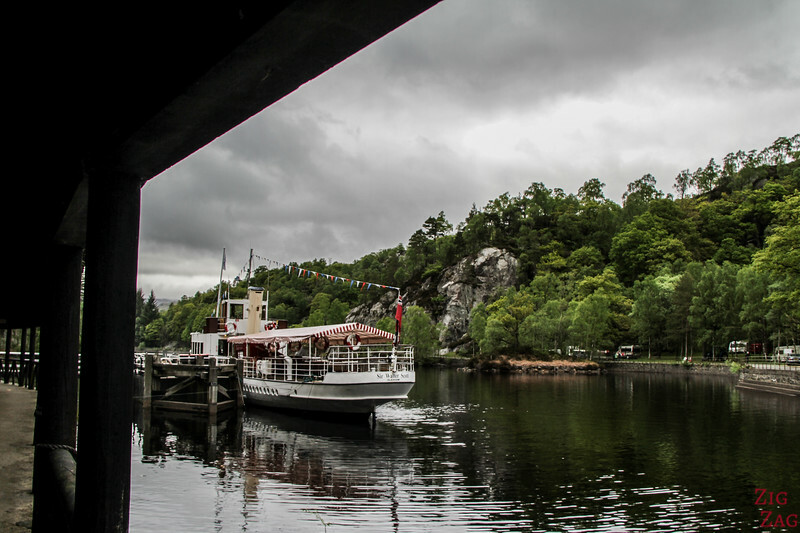 Imagine how it came to Loch Katrine! 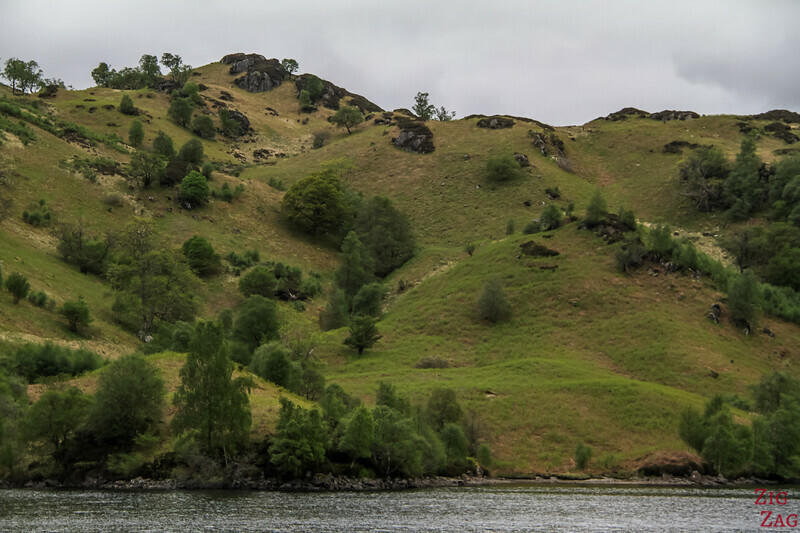 It had to be dismantled, transported (for a portion via horse drawn cart) and then reassembled on the shores of Loch Katrine. 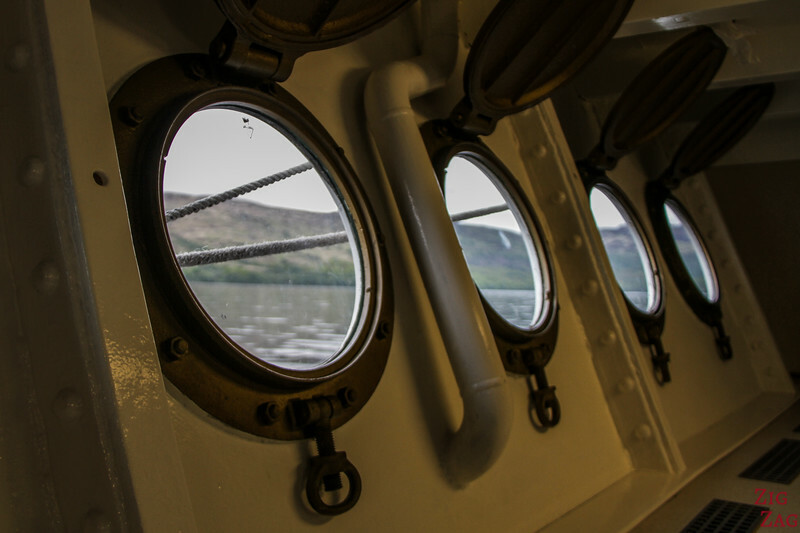 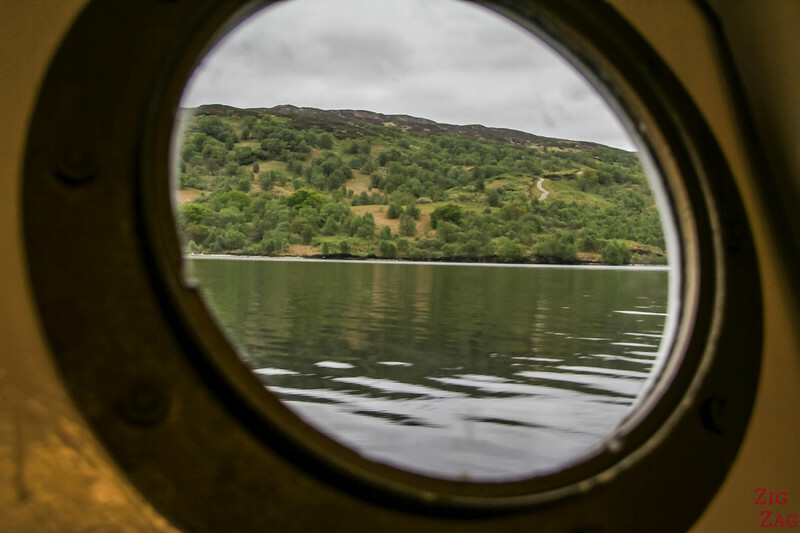 You can also go to the lower deck to get warmer and see the views from the porthole at water level. 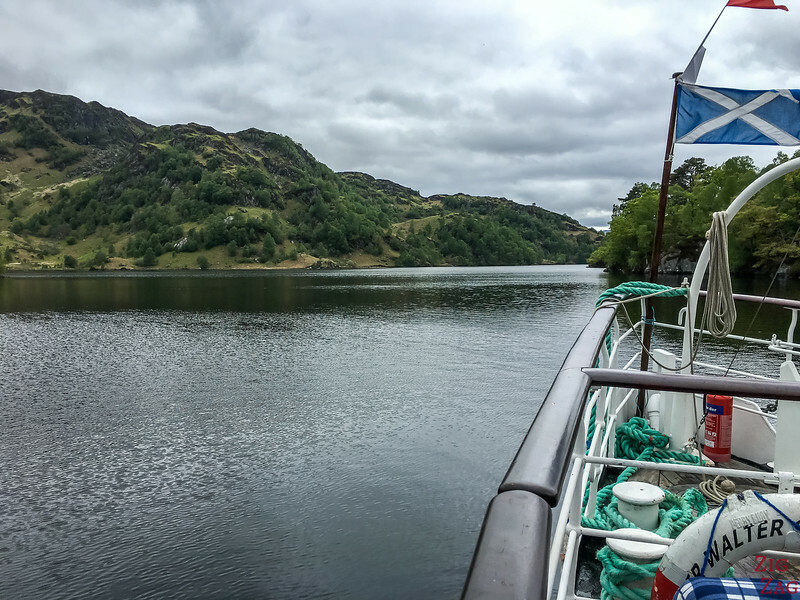 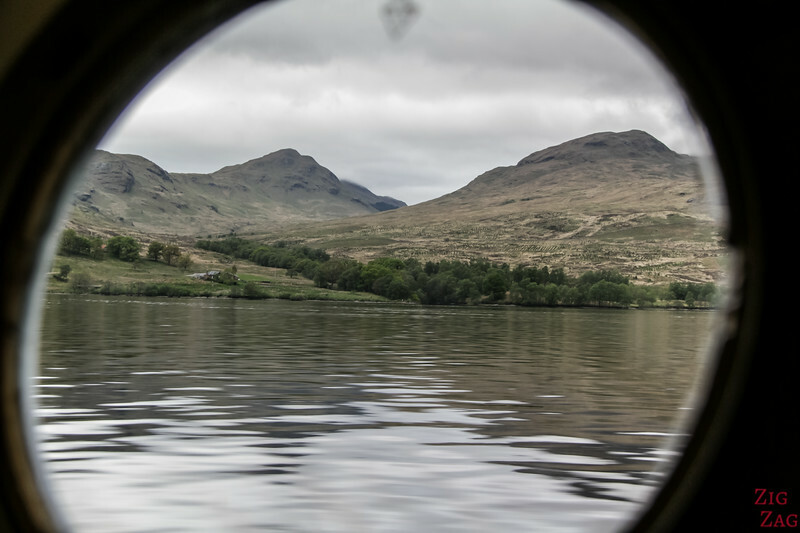 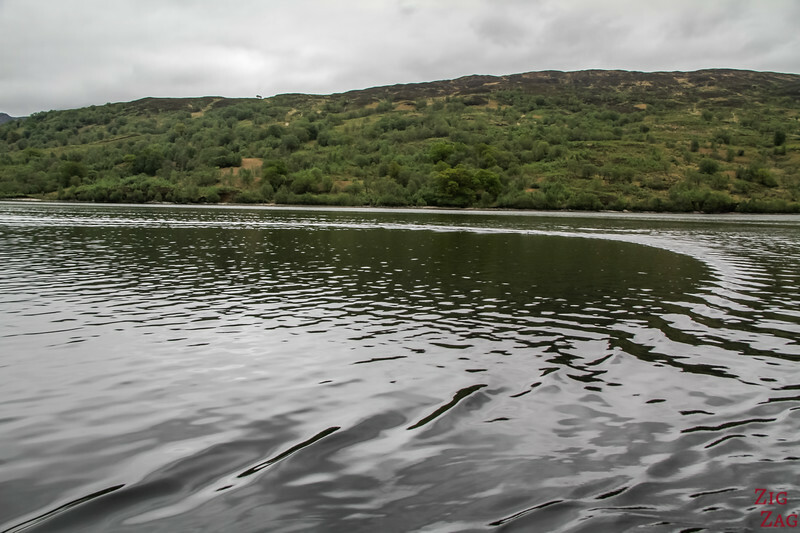 Wandering what you will see on a loch Katrine Cruise ? 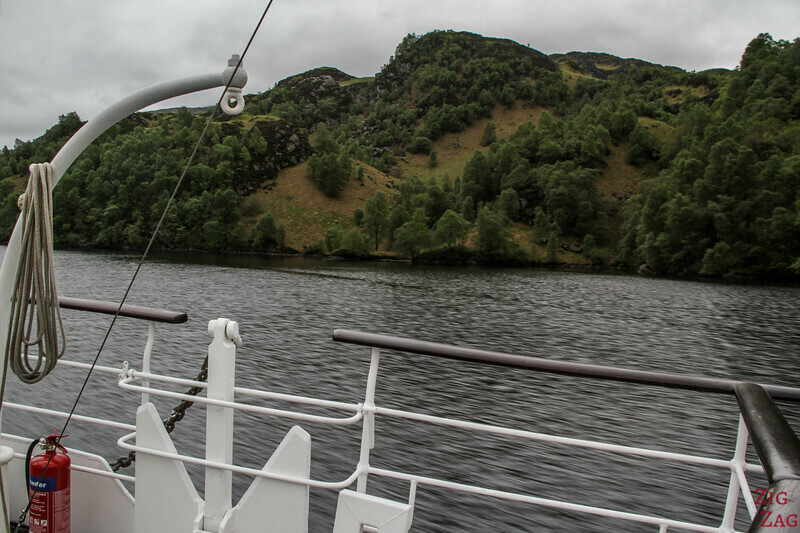 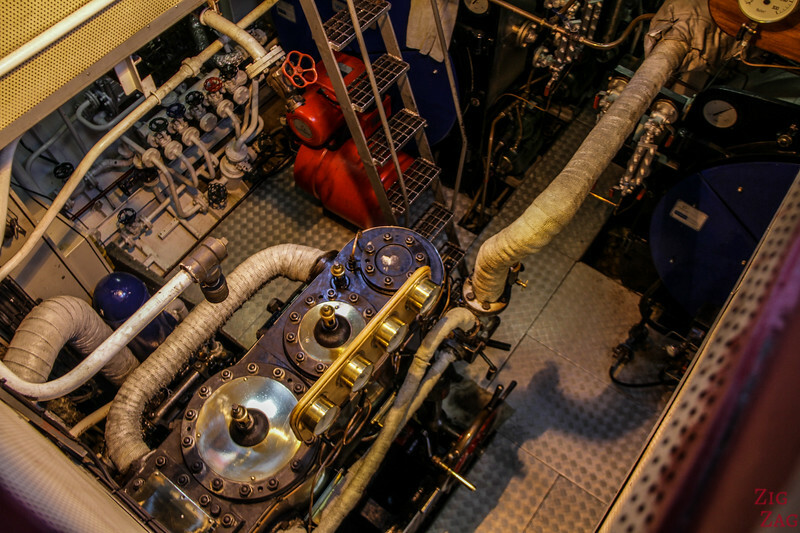 Here are some pictures from my own tour on the Sir Walter Scott boat. 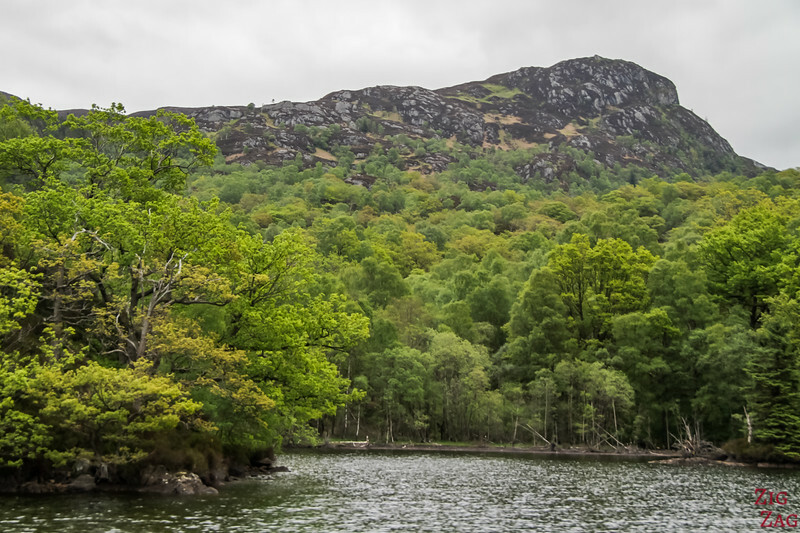 The summits around this loch as not very high but remain mostly wild. 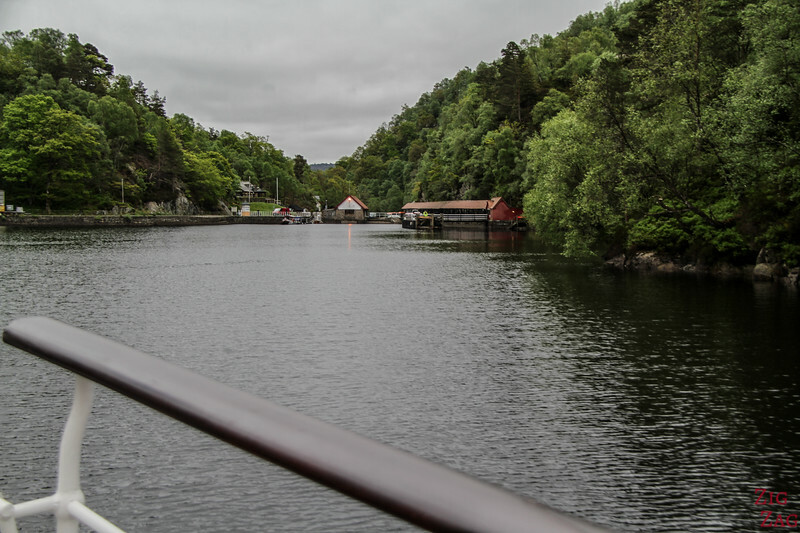 The cruise is really peaceful and relaxing. 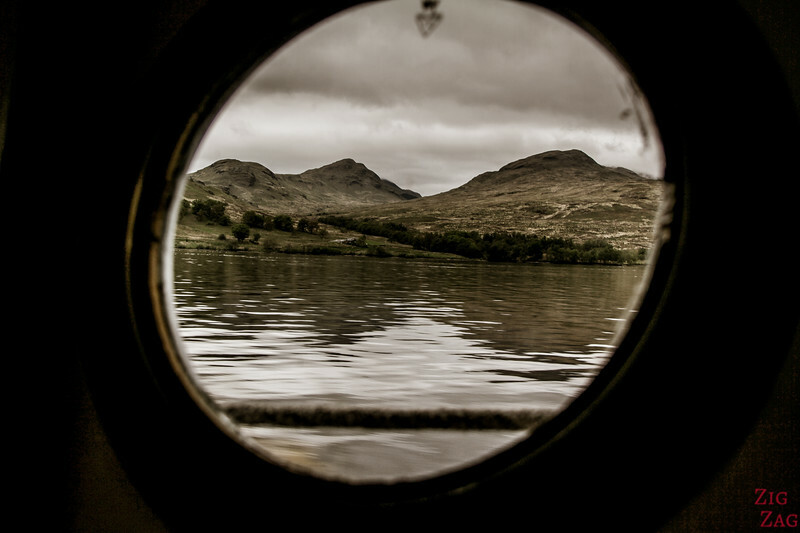 If you get cold upstairs, get down to the lower deck and admire the views through the Porthole. 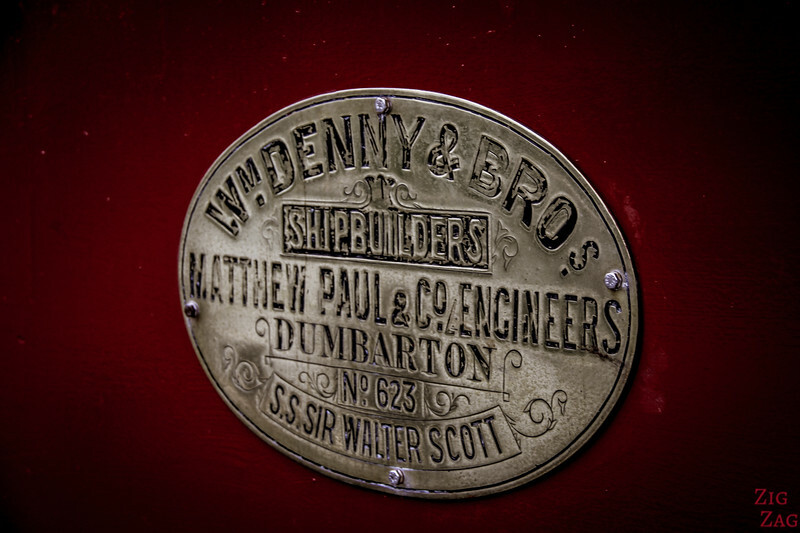 Imagine the people in the 1900s who were doing the same!